Showing results by narrator "Timothy D. Willard"
The world has a love affair - with itself. Armed with Facebook, Twitter, and blogs, we think of ourselves as mini celebrities, and we use consumption and technology to convince our friends that this facade is who we are. 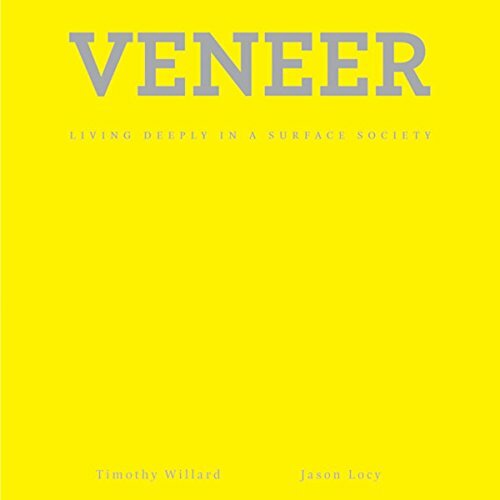 Veneer illustrates that consumption is more than just acquiring more stuff; it is a potentially dangerous mindset - a mindset turning everything, even people, into products.According to authors Timothy Willard and R. Jason Locy, there is evidence of consumption in all channels of culture - even the church. Most Christian commentators suggest that the church should speak the language of the congregants.